Although Xiaomi's core products are smartphones, smart televisions, and smart routers, the company has dabbled in other product categories, such as water purifiers, and air purifiers. These products have been made by other brands for Xiaomi, for whom Xiaomi acted as a business incubator. The company has now announced that it will be collating all these products under a new sub-brand called Mi Ecosystem. It also announced the latest product to be part of this brand, the Mi Induction Heating Pressure Rice Cooker. 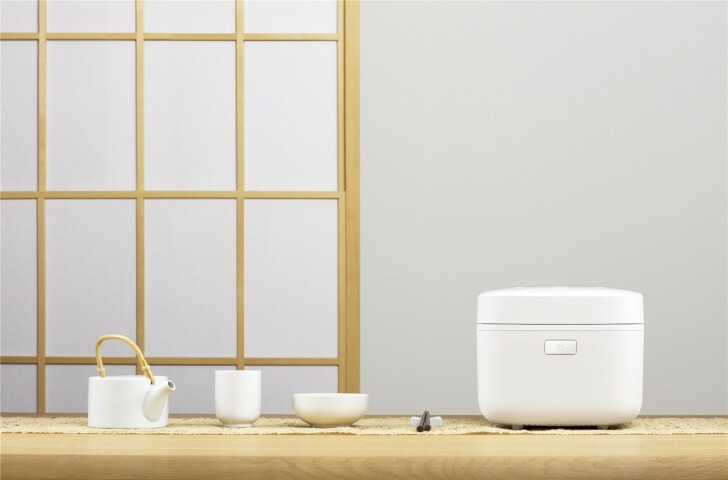 Xiaomi's Rice Cooker is Wi-Fi compatible and connects to your phone through an app. You can set it manually or let it figure out how to cook that particular brand of rice by scanning the pack, and the cooker currently supports over 200 brands of rice. It also supports cooking other kinds of rice, such as brown rice, crispy rice, and even cakes. You can set it to cook these items automatically through the app, which supports 2450 heating methods. The cooker employs a magnetic relief valve to precisely control the pressure inside. The lining material is grey cast iron that has undergone 69-step process. The PFA powder coating prevents the rice from sticking to the bottom. The Mi Induction Heating Pressure Rice Cooker is priced at RMB 999 ($153), which is 40% less than the comparable high-end rice cooker.